Do dental implants feel like natural teeth? Dental implants look like natural teeth, and they also feel like them to some extent. Here, our Lethbridge dentists describe the similarities and differences. If you are considering getting dental implants, you are probably wondering what it would actually feel like to have them. To understand what having a dental implant will feel like, it can help to understand exactly what it is. A dental implant is an artificial replacement for a missing tooth, including the root and the crown (the visible part above the gum line). The implant itself is a small titanium screw that is surgically implanted into the jaw to act as the root of the tooth. Titanium is biocompatible, which means that it can fuse with bone tissue, making it a solid foundation for the rest of the restoration. 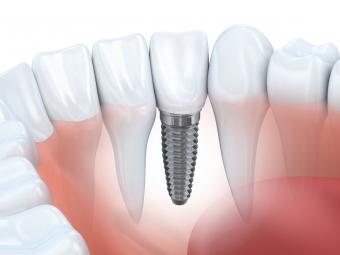 The titanium screw is topped with an abutment, to which the artificial crown is attached. Together, these three parts are your replacement tooth. Since the dental implant is made up of artificial materials, you will not have any feeling in the implant itself. Any sensations you experience in relation to your implant will come from the tissues surrounding it. This means that your dental implant will not feel exactly like your natural teeth, since natural teeth have nerves within them that feel sensations like temperature and pressure. In spite of this difference, once you dental implant has healed, it will look and function much like your natural teeth do, and you probably won’t notice too much of a difference. 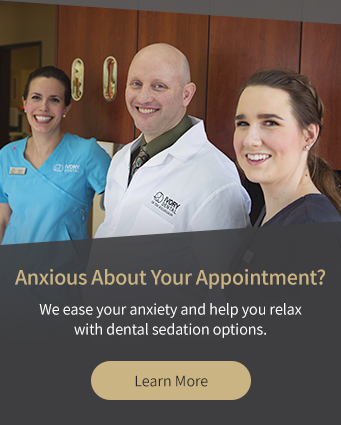 If you have more questions about dental implants, please contact our Lethbridge dentists to book a consultation.